If you want to save money on your student loans, then you might have considered refinancing. Refinancing your student loans could lower your interest rate and save you thousands of dollars. You’ve heard all the hype, but when should you refinance? Here’s when to refinance student loans. The biggest benefit of refinancing is lowering your interest rate. But just because you apply for refinancing doesn’t mean you’ll automatically get a better deal than what you currently have. It all depends on your credit. If you’re able to score 1% to 2% or more in interest rate savings, then refinancing could make sense. Use a student loan refinancing calculator to find out how much you’d save and make sure it’s worth it in the long run. While refinancing can make mathematical sense, when refinancing federal student loans, you’ll give up priceless benefits, like income-driven repayment and student loan forgiveness. Our student loan refinancing survey found that 40% of borrowers only applied for refinancing with one lender. You wouldn’t go to just one lender if you were car shopping or check out one house if you’re in the market to buy a home. Have that same mindset when refinancing your student loans. There are various student loan refinancing companies out there, and they each have their own eligibility requirements, perks and drawbacks. Check out at least three lenders. In many cases, you can check your rate without any affect on your credit as only a soft pull is performed. Typically, there’s only a hard pull on your credit — which could have a slight, temporary impact on your credit score — when you submit your application. So when is the best time to consolidate student loans? After you’ve done your homework and know you’re getting the best rate! Timing is everything, and the same can be true with refinancing. A good time to refinance is when you’re financially stable and in a good position. When you refinance student loans, you’re applying for a new loan with a private lender. To qualify, you typically need good credit and an income to support the new loan. The lender will be looking at all of your financials. Refinancing is only worth it if you’re in a position to get approved and not miss out on any of the perks of having federal student loans. This means having good credit (let’s say 700 or above) to get approved. Your income should be high enough to make payments on a new loan. Again, make sure you won’t need those federal benefits. It’s a good idea to have an emergency fund with at least six months of expenses saved, in case unforeseen unemployment comes up. If you check your credit score on a site like Credit Karma, review your financials and all looks good — AND you feel confident about your finances — refinancing now could make sense. If you’re interested in refinancing student loans, it should be a part of a larger payoff strategy. For example, you should know how much you’ll save in interest and how much more you can put toward the principal balance. Will refinancing help you pay off debt faster? Is your repayment term shorter with larger payments or longer term with smaller payments? You want to know how refinancing will affect your financial plan. Another way to maximize your payoff strategy is to pursue a refinance ladder. A refinance ladder is where you apply for refinancing with a longer term at a lower rate and make extra payments. After a period of time, you’ll refinance again with a shorter repayment term and lower rate. Essentially, you can continue refinancing your student loans at various companies. You can read about how to start a refinance laddering strategy. Our survey found that half of borrowers didn’t know you can refinance student loans more than once. You absolutely can — and refinancing multiple times could mean optimizing your savings so you can get out of debt faster. If that’s possible, you can continue lowering your rate by refinancing more than once. Federal student loans are chock full of protections for borrowers, such as student loan forgiveness through Public Service Loan Forgiveness (PSLF) or income-driven repayment, deferment and more. It’s nice to have those options handy if you find yourself in a bind, or you’re in a low-paying position in the public sector. Refinancing gives up all of those perks. So you need to be clear on whether you plan to stay in the private sector throughout your repayment term. Not only that, but you feel like you have some job stability and a stable income. 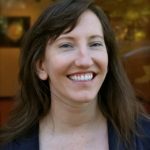 If you think you might transition to a life of public service, you’ll want the ability to pursue PSLF. If your job is unstable and your income often fluctuates, income-driven repayment can be a lifeboat during turbulent times. Refinancing is worth it when your private sector job is stable with a good income, and you’re happy to stay put. As you grow older, there can be some major life changes. You could get married, divorced, have a baby, buy a house, get laid off, deal with a family member dying and more. Of course, some of these situations you can’t anticipate, but if you’re in the midst of a personal or professional transition, it’s not the right time to refinance. You want to have stability in all areas of your life when you refinance. 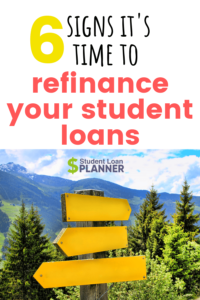 If you’re wondering when to refinance student loans and you’ve already gone through some of these milestones and feel like there’s a smooth road ahead, refinancing can be worth it. When is the best time to consolidate student loans? Do you feel like you’ve meet the requirements above? If so, the best time to consolidate student loans could be now. If you’re ready to refinance, check out various lenders with cash back bonuses. You can score a lower rate and get some money back. Be sure to check your rate at multiple places and have a strategy behind refinancing.